As you might imagine, most financial planners (and most clients) have a preference for stretching the distribution of their IRA (or other qualified retirement) accounts over long periods of time so as to lessen the income tax burden on those accounts over many years. And, if possible, most clients would prefer the ability to leave dollars in those accounts to their children and grandchildren as a form of legacy/inheritance. However, as life circumstances change, it sometimes makes sense to keep an open mind about how we view the distribution of those accounts. While these circumstances certainly will not apply to MOST clients, they might apply to a select few. When they do, this strategy can not only save significant tax dollars but can simplify the distribution of an estate long term by avoiding the division of a small IRA amongst multiple beneficiaries. If you or your family have questions about whether this strategy might apply to you or someone you know, please reach out to our Center Team. We are always happy to help! Any opinions are those of Center for Financial Planning, Inc. and not necessarily those of Raymond James. The information has been obtained from sources considered to be reliable, but Raymond James does not guarantee that the foregoing material is accurate or complete. Any information is not a complete summary of all available data necessary for making a financial decision and does not constitute a recommendation. Please note, changes in tax laws may occur at any time and could have a substantial impact upon each person's situation. Raymond James does not provide tax advice. You should consult a tax professional for any tax matters related to your individual situation. SAFE is a program created by Dr. Peter Lichtenberg, Ph.D., which is being run by LaToya Hall, MSW, of Wayne State University’s Institute of Gerontology. SAFE was developed to educate seniors on how to protect themselves from fraud and scams, AND how to pick up the pieces after financial exploitation. How to protect yourself and your loved ones. What you can do if you have ever been a victim. Free education offered to seniors through presentations. Helping seniors take control of their financial health through an educational four-part financial series. Provide one-on-one services to older adults who have been a victim of scams, helping them to get back on their feet. Key points to take away from the webinar are some common scams and what criminals specifically look for in targeting older adults. Criminals look for seniors because they tend to be more vulnerable. They look for people who are typically lonely and socially isolated. They’re also looking for people who have a regular income (such as receiving Social Security), and older adults who are typically more trusting and polite. Many of the common scams are successful because they represent organizations considered to be legitimate: Social Security, Medicare and the IRS. A lot of these are done over the phone or by e-mail. It’s important to remember never to give any information over the phone to an incoming caller or respond to an e-mail requesting your personal information. Another phone scam is called spoofing, where a person calls the senior but looks like they are calling from another number deemed safe (caller ID might identify them as person’s doctor, bank, etc. ), so always make sure to double check on a statement. The safest most effective thing to do is to hang up and call the number you have in your records. These are only a few of the many scams and tactics LaToya goes over in the “Success after Financial Exploitation (SAFE)” Webinar. To learn more and get information along with the free SAFE services listed above, contact LaToya Hall, SAFE Program Coordinator, at L.hall@wayne.edu or 313-664-2608. Raymond James is not affiliated with and does not endorse the opinions or services of SAFE, LaToya Hall, or Dr. Peter Lichtenberg. According to the AARP, of the over 40 million Americans acting as a caregiver for a loved one over the age of 50, 6 in 10 of them are doing so while still trying to earn a living. As we have written about previously, caregiving can take a tremendous financial toll on family members and can cause real issues with caregivers’ own retirement planning. In talking to caregiver clients, it’s not just the financial implications of being a working caregiver that become the biggest issue...it’s the overall impact on one’s life. How can a working caregiver have a balanced life with so many roles and responsibilities? Take advantage of any paid caregiver time off or flexibility that you may have with your job. Make sure you have open and honest conversations with your employer about what is going on in your life and your caregiving duties so that they can help you make your job and caregiver duties work for you. Seek out community resources and information that will help connect you with needed services - you don’t have to do it all alone! Agencies, community and faith-based are available to help you meet your loved one’s needs and allow you to continue to have a career. 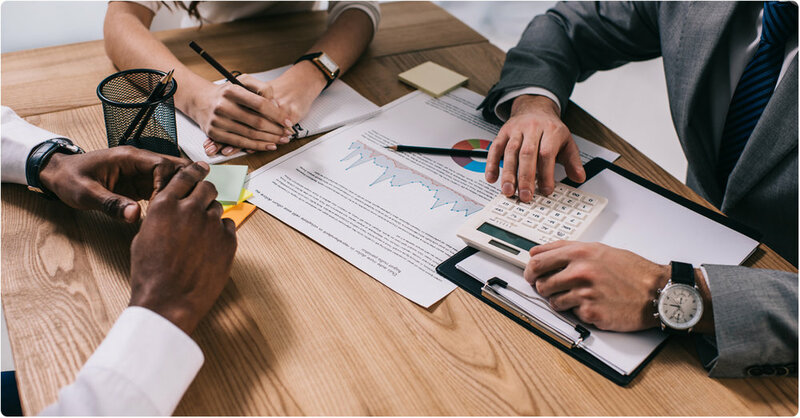 Seek the help of professionals that you can delegate responsibilities for financial planning, investments, bill paying, taxes, care management, etc. Determine your eligibility for various programs that could give you more support and receive all the benefits to which your loved one is entitled at BenefitsCheckUp.org. Keep yourself organized. Coordinate and organize your time, activities and paperwork. Find a system that works for you (paper, electronic, etc.). i.e., schedule appointments all on the same day, at the end or beginning of days to make things work better with your work and family schedule. Find time for yourself. As a caregiver, if you don’t have time to enjoy time for yourself and de-stress, things will only become more chaotic, stressful and out-of-balance. Find our Working Caregiver Bill of Rights here. After all, if you aren’t taken care of, you can’t take care of the one you love! As impossible as it often seems, there is a way to have some balance in your life if you are a working caregiver. It takes careful planning, organization, communication, and use of resources. If you are a working caregiver and would like assistance in planning for your balanced life, give us a call. We are always happy to help! Opinions expressed are those of Sandra Adams and are not necessarily those of Raymond James. All opinions are as of this date and are subject to change without notice. The information has been obtained from sources considered to be reliable, but we do not guarantee that the foregoing material is accurate or complete. Being a caregiver for a family member presents real-world challenges from an emotional and financial perspective. The National Alliance for Caregiving reports that there are over 40 million Americans acting as family caregivers providing over 37 billion hours of unpaid assistance to loved ones. As I wrote in a previous blog “Family Caregiving — The REAL Long Term Costs”, family caregiving can take a toll on caregivers’ health and future retirement goals if the right plans and tools are not utilized. In early 2018 the president signed into law the Recognize, Assist, Include, Support and Engage Family Caregivers Act. The act directs the Department of Health and Human Services to create an advisory council charged with making recommendations on the strategy to support family caregivers. The strategy, which must be developed within 18 months, will address financial and workplace issues, respite care and other ways to support caregivers. A little publicized addition in the recent Tax Cuts and Jobs Act of 2017 that took effect on January 1st, 2018, was the Employer Tax Cut Credit for Paid Family Medical Leave Time. Under the Family & Medical Leave Act (FMLA), employers must provide certain employees with the option for up to 12 weeks of unpaid, job-protected leave per year (and must maintain group health benefits during the leave). To incentivize employers to further support FMLA, the recent Tax Act provides employers with a business credit equal to 12.5% of wages paid to employees during leave (as long as the employee is paid at least 50% of their normal wages) and the credit phases in as much as 25% of wages if the employer provides 100% of continuing wages (up to the 12 week maximum). Employers and the government are recognizing the deep impact of family caregiving on the financial futures of caregivers and are beginning to offer some support. How significant the results of these recent legislative changes will be remains to be seen. We will continue to keep you updated. In the meantime, if you are a caregiver and need additional resources, information, or need assistance in designing strategies for yourself or for your loved one, please give us a call. We are always happy to help! The information provided does not purport to be a complete description of the developments referred to in this material, it has been obtained from sources deemed to be reliable but its accuracy and completeness cannot be guaranteed. Neither Raymond James Financial Services nor any Raymond James Financial Advisor renders advice on tax issues, these matters should be discussed with the appropriate professional. More and more of our clients and families are being impacted by dementia. What is it and how does it impact those diagnosed and those who are caring for them? Dementia is a general term for a decline in mental ability severe enough to interfere with daily life. While it is believed there are over 50 different types of dementia, Alzheimer’s disease is the most prevalent type, with more than 5 million people currently living with this specific type. 1 in 9 seniors has Alzheimer’s disease, but half don’t know it. There are currently medications available to slow the progression of dementia, but there is no cure. Most individuals with dementia are being cared for by family caregivers. Having knowledge about the signs and progression of different types of dementia can be extremely helpful to both the person with the disease and the caregiver. Planning ahead to make sure that the appropriate legal and care plans are in place in advance can relieve a tremendous amount of stress from everyone involved. Realizing that the person with dementia is still the same person, just with a disease, is essential. Dr. Duren of Universal Dementia Caregivers also teaches care strategies for caregivers about how to work effectively with those they are caring for. She also works with caregivers to care for themselves. After all, if caregivers are not healthy and strong, they cannot care for their loved ones with dementia fully. Listen to the replay of our webinar “Carepartners Passage Through Dementia” for additional tips and information AND watch for information about our May workshop for caregivers being facilitated by Dr. Duren. This information has been obtained from sources deemed to be reliable but its accuracy and completeness cannot be guaranteed. Raymond James is not affiliated with Dr. Paula Duren. On a recent flight, I took the opportunity to browse the movie selection and found a film I had never heard before, but that peaked my interest. “The Last Word” with Shirley MacLaine, while not the greatest movie from the view of a film critic, was on point with some lessons about how we live our lives and how we want to be remembered once we are gone. Having been touched with a handful of recent deaths in my personal and professional life, this touched a nerve with me. When you look back on your life, what do you want to be remembered for? What impact do you want to have on the world? On others? Are you being intentional about living that life? If not, start now. And work with your financial planner to make sure those life goals are incorporated into your overall plan. Any opinions are those of Sandra Adams and not necessarily those of Raymond James. I was attending a conference in Orlando recently when Hurricane Matthew was heading up the coast of Florida. To say that I was completely unprepared would be an understatement. I was so busy leading up to the conference that I was only vaguely aware of the weather/hurricane status. I packed so lightly for the conference that I brought only what I needed for the days that I would be in Orlando – so that I could bring a carry-on bag only, of course! I even, for the first time ever, pre-paid my airport parking since I knew exactly when I was arriving and when I would return, so that I could be easy in and easy out. Why am I telling you all of this in the context of a blog about planning, you might ask? Well, to me, it fits perfectly. I see many clients that encounter “Hurricane” situations in their lives that they are completely unprepared for, especially when it comes to assisting older adult parents. Like the weather leading up to a hurricane, things can seem perfectly calm and sunny; moments later the storm hits and you are left completely unprepared for the chaos that comes next. For example, a simple unexpected fall and a broken hip for mom can bring months of “hurricane” aftermath if your family is unprepared. What can you do to plan ahead so that any unexpected storms don’t find you unprepared? Have a family meeting with your older adult parent (facilitated by your financial planner or other professional, if that is helpful). During this meeting, discuss current and future challenges that your parent(s) may face, what alternatives they would consider as solutions to these challenges, and what resources they have to solve these challenges. As a result of the family meeting(s), have a written plan of action that includes all of the above, and, if needed, also includes what professional team members would need to be called upon (financial planner, elder law attorney, geriatric care manager, etc.). 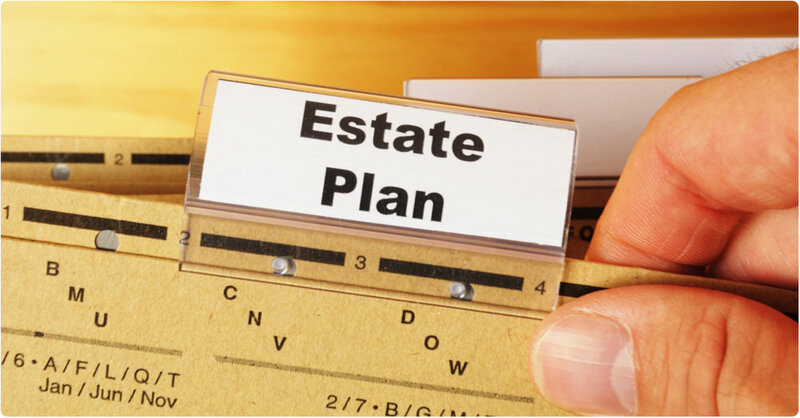 Make sure all estate planning documents are up-to-date and reflect your parents’ current wishes and situation. Put a Family Care Plan in place so that everyone knows their role in advance (and family conflicts are avoided, as much as possible). Help your parent(s) complete the Personal Record Keeping Document and Letter of Last Instruction (and keep it up-to-date) so that all important information is in one place and handy and a moment’s notice in a crisis. Going back to my recent hurricane situation, I happened to luck out. I was at a very secure hotel property during the oncoming storm, and while I got delayed an extra day due to the airport being shut down, the worst thing I had to endure was wearing some dirty clothes and dealing with some restless children at the hotel because Disney was also closed for the day. If you don’t help your aging parents plan, I can assure you the results won’t be as kind. The key is to start the conversation – it is not an easy one, but it is one of the most important conversations you may have in your lifetime! Please contact me if I can be of help. Sandra Adams, CFP® , CeFT™ is a Partner and Financial Planner at Center for Financial Planning, Inc.® Sandy specializes in Elder Care Financial Planning and is a frequent speaker on related topics. In addition to her frequent contributions to Money Centered, she is regularly quoted in national media publications such as The Wall Street Journal, Research Magazine and Journal of Financial Planning. The information contained in this report does not purport to be a complete description of the securities, markets, or developments referred to in this material. The information has been obtained from sources considered to be reliable, but we do not guarantee that the foregoing material is accurate or complete. Any opinions are those of Sandy Adams and not necessarily those of Raymond James. Prior to making an investment decision, please consult with your financial advisor about your individual situation.